Spring Guns & Ammo offers a full service gunsmithing shop to better serve our customers. Located directly behind our spring location’s gun range, our gunsmiths are here to help our customers and love making your firearm dream projects a reality. We offer a variety of different services, so whether it’s just a simple cleaning to get your gun back in shape or it's something much more complex give our gunsmiths a call and let us assist you! Spring Guns & Ammo offers a full service gunsmithing shop to better serve our customers. Located directly behind our spring location’s gun range, our gunsmiths are here to help our customers and love making your firearm dream projects a reality. We offer a variety of different services, so whether it’s just a simple cleaning to get your gun back in shape or it's something much more complex give our gunsmiths a call and let us assist you! Start at $285 for a complete firearm for a single color. Price on request for partial firearm or mult-colored cerakote. 1 This service is not available for all firearms. To be determined by gunsmiths. 2 If threading for suppressor will need to have suppressor or adapter. Hunting barrels will need to be measured to ensure barrel is thick enough to safely accept a thread adapter or muzzle device. 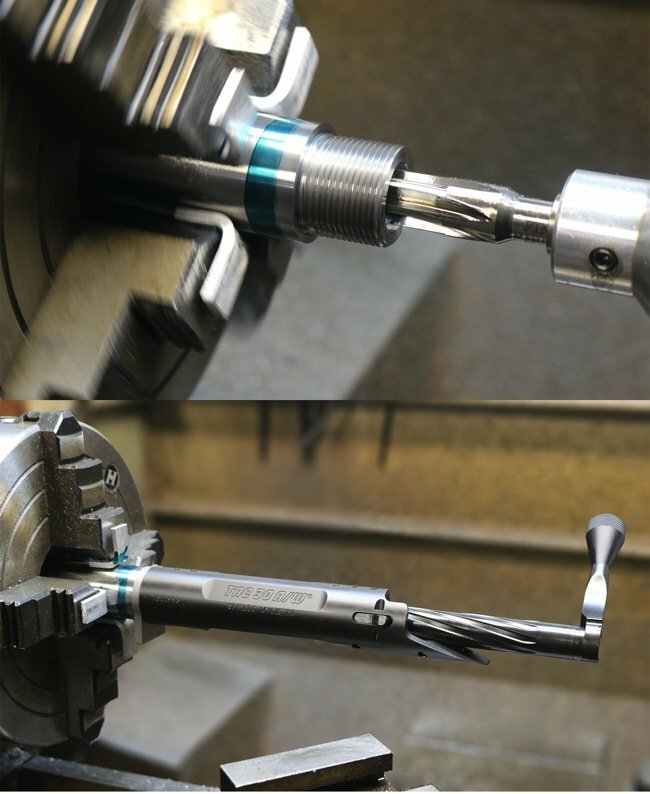 Standard barrel threading does not include shortening and/or recrowning. We can provide those services at an additional cost. 3 Includes labor on installation. Does not include machining or parts. Note: If bringing in a weapon that has a detachable magazine please bring the magazine with your firearm. If we have to provide a magazine the customer they will be charged for the cost of a new magazine. If applicable, please provide protection plan and/or warranty paperwork at time of drop-off.